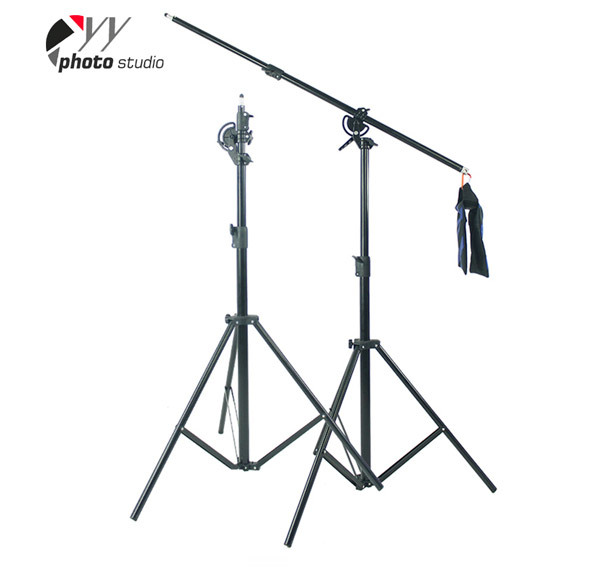 This 2-in-1 Photography Boom Light Stand kit is an amazing value. 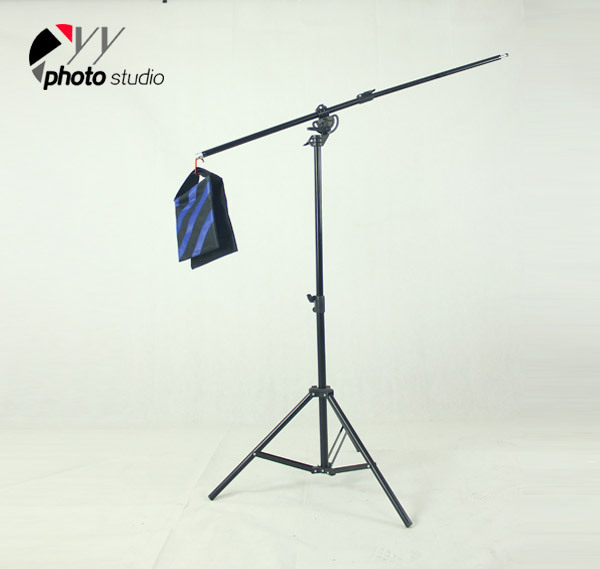 Easily use it as a heavy duty light stand or it converts in seconds to a Boom Arm Light Stand, capable of easily supporting a 12 pound load overhead. Comes with sandbag. The Horseshoe style quick release lock on this item makes angle adjustment on this boom super quick and easy. This will allow you to get a good height on the item to allow a higher range of motion. 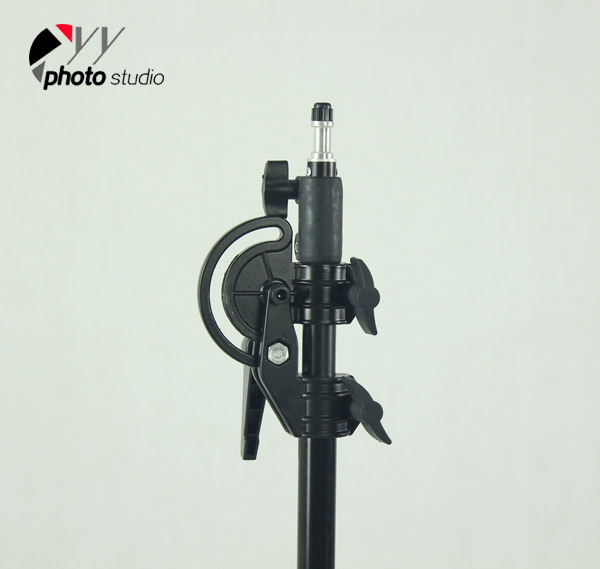 The hole on the end of the boom arm will allow you to attach your own counter weight to the item, giving you flexibility in the weight system used.